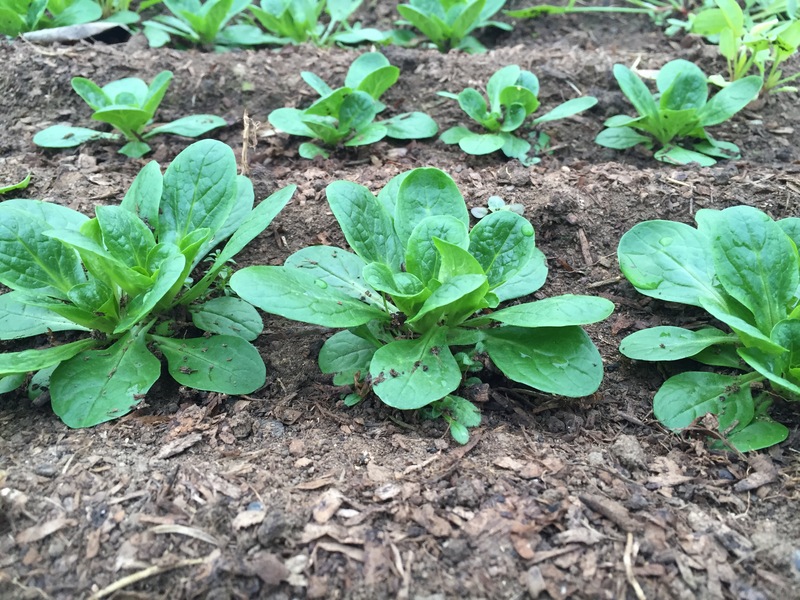 We grow a few lesser known greens in the winter: Mache, Claytonia, and Minutina. They aren’t grown widely because all three thrive in cooler temperatures. They love the conditions in an unheated high tunnel in the winter months, and, well, most farms don’t grow greens in the winter! These three greens are well known in winter farming circles though, which is how we got to know them. 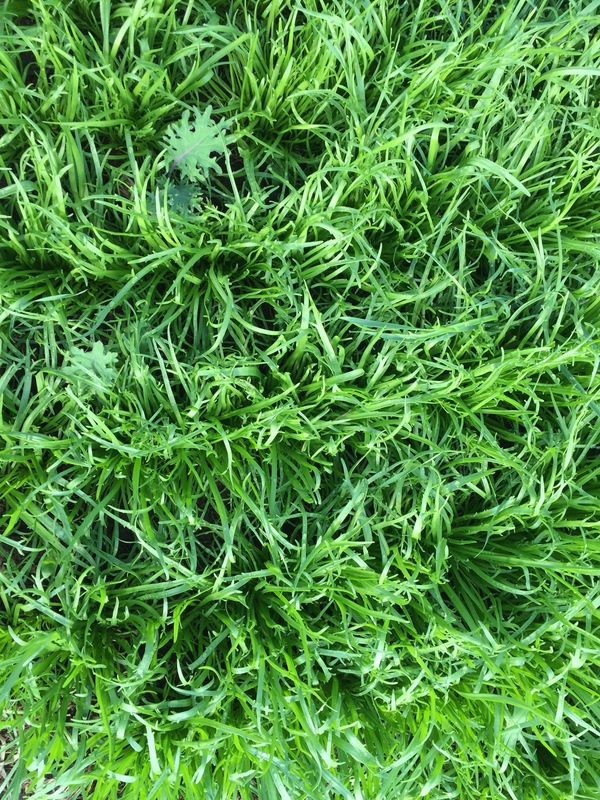 All look quite unique, and are all very pleasant and mild – they are excellent salad greens. In season: We harvest these greens in January, February and March. Mache: Also called corn salad, Mache is sweet and nutty. The plants are very small, and resemble rosettes. We harvest the entire plant, and they can be served that way, or the leaves can be separated. Use it as a salad green like you would baby spinach. It pairs nicely with almonds and fruit. Claytonia: Also called Miner’s Lettuce because miners deep down beneath the earth would eat claytonia to help ward off scurvy! This succulent and slightly salty green has a spade shaped leaf. Use fresh or cook very lightly and use like spinach (notice a theme here?). 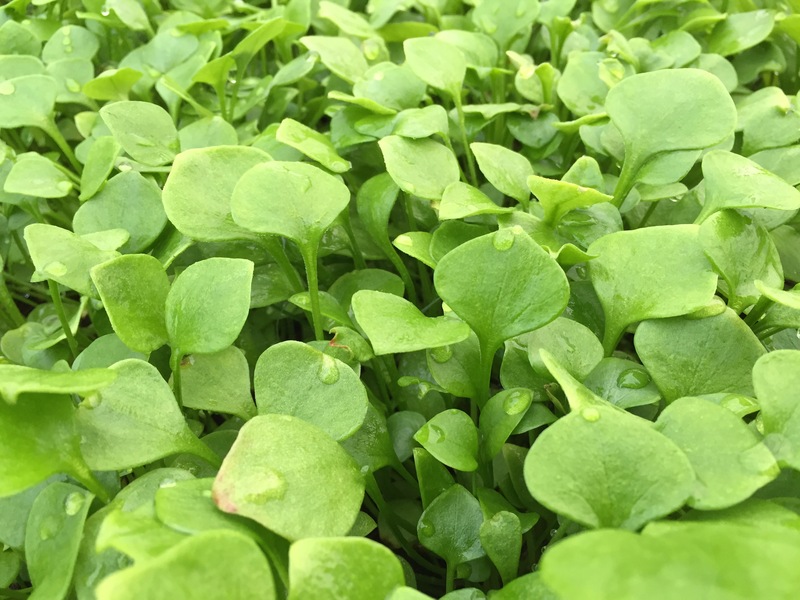 Claytonia is also high in vitamin C.
Minutina: This spunky green looks like grass growing our greenhouse! But it’s not. This European winter green is crunchy and nutty. Great in salad mixes. You can also cook with it (like spinach), but we haven’t tried this yet.